I read in the paper recently that the union representing some of the employees at AT & T’s Atwater Call Center was asking for letters to the company. 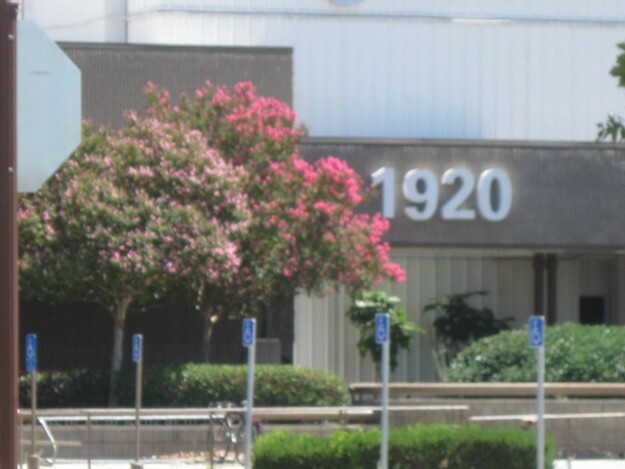 The union promised to forward any letters sent to their office in Modesto. My letter thanked the company for two-decades of employment on behalf of hundreds of families in and around Merced County. When AT & T leaves the call center buildings at Castle Air Base at the end of the summer, nearly four-hundred jobs will be lost. Employment has been offered at the company’s call centers in California and other states. The company’s original offer for continued employment included a five-thousand dollar moving allowance and a ten-day decision window. My letter made it clear that I understand the business decision that drove this economic tragedy for local families. The company paid decent wages and many workers have described working conditions as good. But apparently there are efficiencies to be achieved by consolidating operations within other facilities. I try to be mindful that had this decision gone the other way, and workers from other facilities would have been asked to move within a week-and-a-half to Merced County, many of us would be celebrating a victory for job development in our community. The letter offers to keep the door open should business conditions change in the future. Should AT & T ever consider expansion again, I ‘ll do whatever I can to gain the support of the entire business development community, from the Office of Commerce, Aviation, and Economic Development to the County Workforce Investment Board. I serve on the board of the latter. In times like these, it would be easy to take shots at AT & T or any company that eliminates jobs from our community. I’d like to think the company discussed some of their efficiency concerns with the union representing workers and economic development leaders in the community. I have seen no evidence of that from the reporting done in the local media. There’s even a small part of me hoping AT & T will see some merit in reconsidering the decision, although I’ve seen enough of these operational restructurings to know better. Anything is possible, but we have to move on and embrace the companies that want to do business in our county. Our community has taken another hit in the struggle to recover from the recession. We’ll add it to the list of setbacks endured by Merced County in terms of job growth. The mourning period for the departure of AT & T will extend beyond the end of the summer when the last employee leaves the facilities at Customer Care Way in Atwater. With compassion for the families facing uncertainty and empathy for the businesses that relied on local spending from the AT & T payroll, we will move onward.